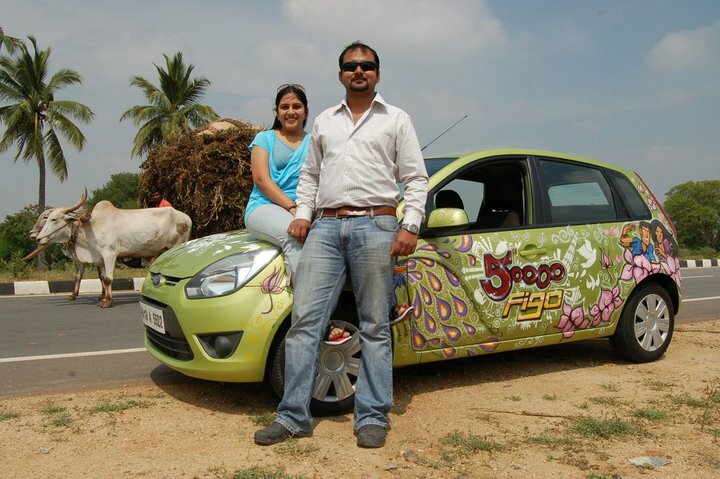 Ford India is currently running a road trip called Ford Figo discover Smart drive, a month long road trip from Chandigarh to Chennai, where in 4 lucky couples are selected to Drive the Figo, one week each. The event is leveraged effectively online, mainly in Figo’s facebook page and twitter. The road trip has been of great success so far and Figo’s facebook page is looking to double its fan count very soon. Figo’s fanbase was about 8000+ at the beginning of the month and currently nearing 15k level. We congratulate Ford India for this success and the observation serves as a testimony that offline events can be effectively leveraged online. Figo’s Discover India smart drive has been running lots of contests online, on facebook, orkut and twitter, giving away prizes like Nokia phones and so on, actively engaging the fans, in sync with the road trip happening on the field. October 2010 hasn’t ended yet, so we can expect the number to keep shooting up. Image sourced from Figo’s facebook page. 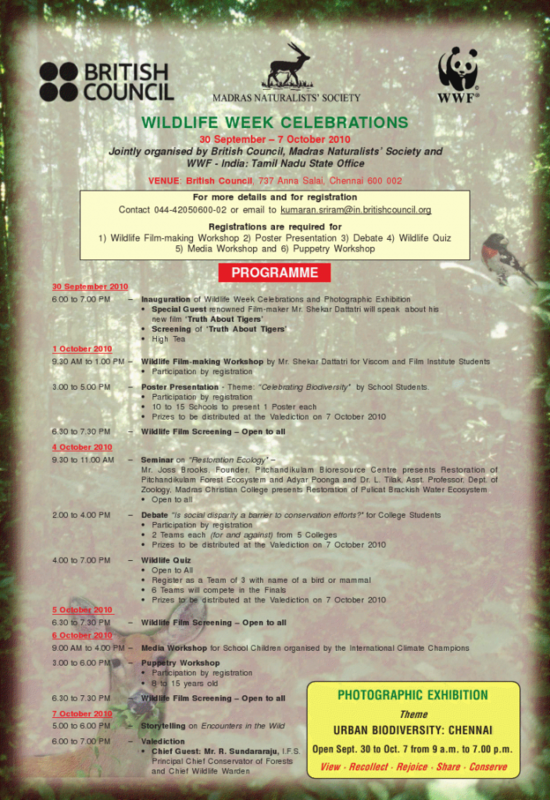 The Madras Naturalists’ Society, World Wide Fund – India, Tamil Nadu State and British Council jointly present various programmes to celebrate the Wildlife Week 2010 and the International Year of Biodiversity. The event is from 30th September 2010 to 7th October 2010.Film-maker Mr. Shekar Dattatri Inaugurated this program on 30th September and he shared some interesting things about his new film “Truth About Tigers”. Everyday evening 6.30 to 7.30 Wild Film Screening will happen (open to all). On 1st October Wildlife Film-making Workshop by Mr. Shekar Dattatri happened for Viscom and Film Institute Students. “Celebrating Biodiversity” is a Theme for Poster Presentation by School students. Ten to Fifteen schools students participated and each school presented a poster. A Media Workshop for School Children’s Organized by International Climate Champions will take place at British Council as a part of a Wildlife Week Celebration on 6th October 2010. Registration required for the participation. It has three categories that are Journalism, Radio, and Photography. Students from classes VI to VIII can participate in this event. People from International Climate Champions are going to train the students in this Media Workshop.